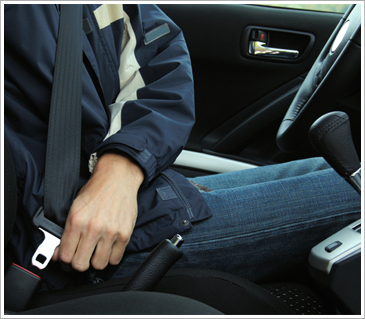 Not wearing your seatbelt can lead to life-changing personal injuries if you are involved in a car accident. Contrary to popular belief, though, failure to wear your seatbelt does not prevent you from recovering personal injury compensation if the automobile accident was caused by another driver. Automobile insurance adjusters may attempt to persuade you that you were negligent in not wearing your seatbelt, but this simply is not the law in North Carolina. The car accident personal injury lawyers of Maginnis Law, PLLC can help you recover the fair compensation to which you are entitled regardless of whether you were wearing your seatbelt at the time of your automobile accident. Our attorneys may be reached at 919.526.0450, at info@maginnislaw.com or you may submit a request to be contacted via our contact page. The North Carolina statute mandating that motorists wear a seatbelt provides that “[e]vidence of failure to wear a seat belt shall not be admissible in any criminal or civil trial, action, or proceeding except in an action based on a violation of this section . . .” What this law effectively means is that in any personal injury trial, the jury is not allowed to hear any evidence whatsoever that the plaintiff was not wearing a seatbelt at the time of the car accident. This is true even in a wrongful death action based upon an automobile collision. The Wake County car accident personal injury attorneys of Maginnis Law, PLLC offer free consultations for all automobile accident victims. We also handle car accident personal injury cases on a contingency basis so that our clients do not pay any attorneys’ fees unless and until they recover compensation. If you or a loved one have been injured in an automobile accident, and you were not wearing your seatbelt, contact the Raleigh civil litigation personal injury lawyers of Maginnis Law, PLLC at 919.480.8526. You may also use our contact page to submit a new case inquiry.